No good if you want the full team of ducks but they look like they’d make decent ambient objects. I seem to have a collection of half finished projects already so I didn’t buy one… this time! This entry was posted in Ones and Zeros and tagged ambient, ambient orb, arduino, ducks, hacking, hardware, homebase, LED, mqtt by jt. Bookmark the permalink. 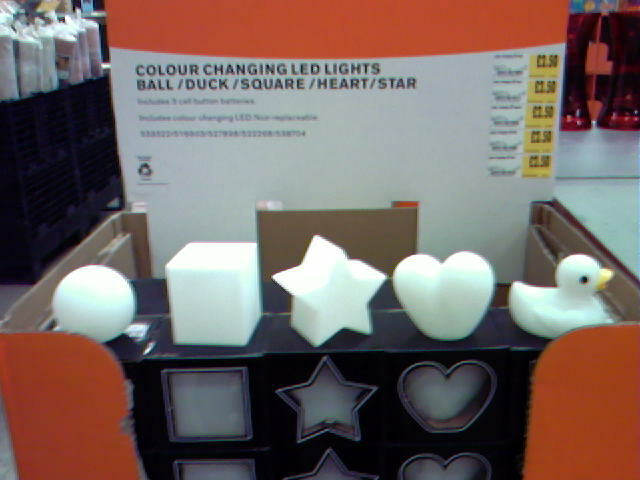 B&Q also have a similar range of these as well – albeit without the ducks. 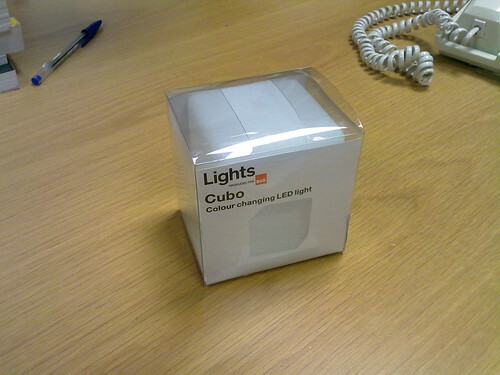 I’ve bought a dozen or so to put on the shelf until I find the time to use them…. my original source, from M&S, disappeared before I got around to stocking up. Spotted these today at homebase, reduced to 79p! Now to work out how to get inside them….